After taking some time to get the first commitment of the class, the Wolverines have now gone back-to-back days with 2020 commitments. Just two days after putting on a show at camp and receiving his offer from the staff, 2020 Belleville (MI) CB Andre Seldon committed to Michigan. It’s no secret that Seldon is an undersized cornerback. 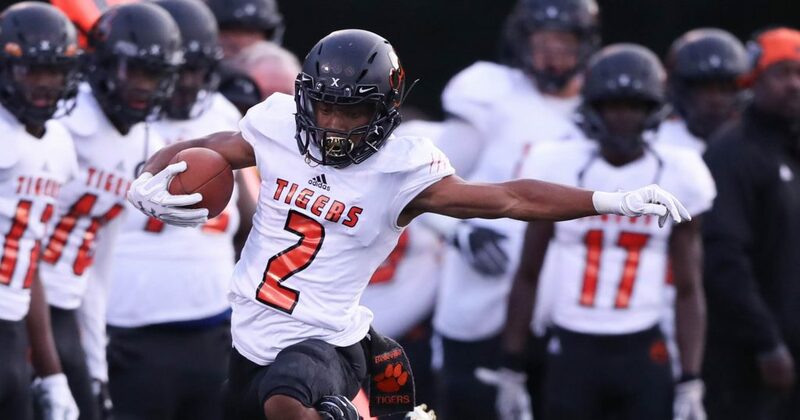 And though his size hurts him at times on jump balls, there aren’t many cornerbacks in the country that are as sticky in man coverage as the Belleville standout. He’s got a little Honey Badger to him. He’s a smart corner that can play on the inside or outside, blitz off the edge, and isn’t scared to get physical with bigger receivers. He also runs a legit 4.3 forty. That speed and his agility allow for him to make up ground quickly and make big plays on the ball. With two more years before he even gets to Ann Arbor, there’s plenty of time for him to add more size and craft his coverage skills even better. He has the potential to be a stud nickel cornerback and the next star cornerback out of the Detroit area. Seldon has been a known name on the 2020 in-state recruiting front for a while now. His coverage skills in camp settings put his name out there originally and it ended up being the same thing that caught Michigan’s attention. According to 247Sports’ Allen Trieu, Seldon ran a 4.37 forty at the Grand Valley State camp in front of the coaching staff ($). That landed him his dream offer from the staff. And after nearly making a snap decision, he committed to his lifelong dream school just two days later, becoming the second commit and future in-state leader of the class. Belleville 2020 CB Andre Seldon at Jourdan Lewis WR/DB Camp. Seldon is the second commitment of the class, the first cornerback, and the first in-state commit. Like the first commit of the class, WR Kalil Branham, Seldon has already put his recruiting hat on for Michigan. He’s already gone the Twitter route to target 2019 OLB Lance Dixon, 2020 S Makari Paige, 2020 RB Mike Drennen, 2020 WR Rashawn Williams, and 2020 LB Cornell Wheeler. As far as defensive back recruiting goes for 2020, Makari Page along with CB Enzo Jennings and S Jordan Toles are names to watch.